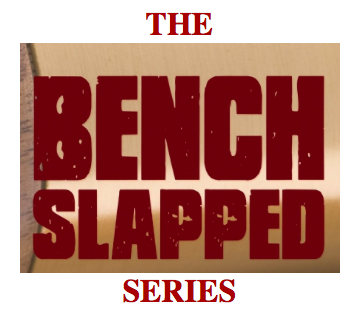 MSV: Birth of a Bench SLAPP? Birth of a Bench SLAPP? Emails contained here are part of the public record after over two and a half years of civl litigation in the well known lawsuit against this MSV editor and a dozen or more Hoboken residents. The documents numbering in the area of 100,000 including electronic data are available to the public at Hudson Superior Court in the case: Bajardi v Pincus. On September 11th, 2001, Americans would face one of the most traumatic days in living history and the worst attack and loss of life on the nation's shores since the attack at Pearl Harbor. In September 2011, as most Americans were reflecting on the tenth anniversary of the terrorist attacks, Councilwoman Beth Mason had other matters on her mind. Beth Mason has stated she had "nothing" to do with the civil lawsuit filed in July 2012 by Lane Bajardi and Kimberly Cardinal Bajardi or as she described here in the email above "against members of our.."
The lawsuit spanning over 2.5 years followed by more than two weeks at trial in Hudson County Superior Court saw almost five dozen motions and peripheral legal requirements with the vast majority initiated by the failed plaintiffs who deployed at least six attorneys in five states: Ohio, Pennsylvania, New York, New Jersey and California. Lane Bajardi testified he returned to full time work in September 2011 after being laid off two and half years prior from Bloomberg. He also testified under oath James Barracato was a friend and while he agreed numerous others connected to Beth Mason were political operatives, he never would say the same of Barracato. At trial, related to work he would only state Barracato owned a bar and described himself as a campaign volunteer to Beth Mason connected to Hoboken civic affairs. 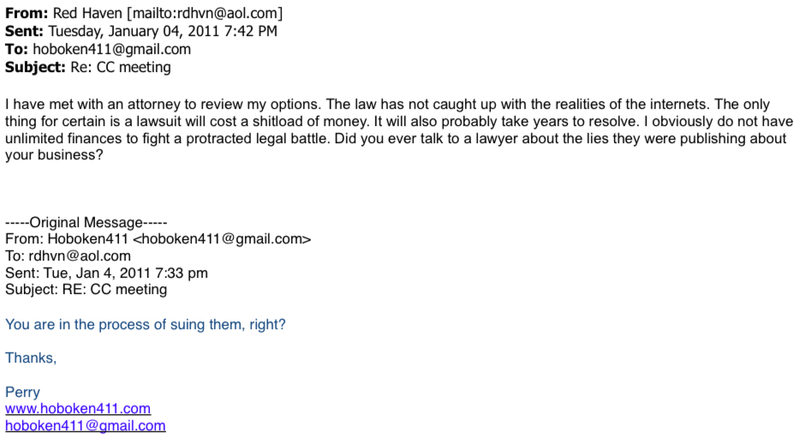 In early 2011, Bajardi in an email with Perry Klaussen of the Hoboken411 blog responded to an inquiry asking "You are in the process of suing them, right?" The Hoboken $2,000,000 defamation lawsuit was filed on July 26, 2012 on behalf of Lane Bajardi and Kimberly Cardinal Bajardi. 15 days earlier at the July 11th, 2012 City Council meeting, Councilwoman Beth Mason announced to one of the two named defendants he was "on the verge of legal action" in direct response to a request she make available public records of the Mason Civic League. Next in The BENCH SLAPPED Series: The Hospital, part II. Beth Mason doesn't write her "own stuff." Beth Mason operative on efforts to save HUMC: "They can really destroy the administration if they work things properly." Lane Bajardi and Hoboken411 blog owner Perry Klaussen tied to alleged illicit trafficking of Mayor Dawn Zimmer's emails.